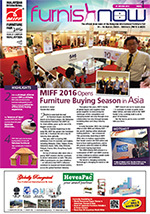 The Malaysian International Furniture Fair (MIFF) 2016 is paving the way for even bigger and better shows in the future! As in the previous year, MIFF 2016 is more than just an exhibition. It’s also a great platform for individuals and companies to learn more about the industry, network and form new business relations. Dinner with friends and family becomes an elevated experience with Civic Tai’s dining sets with tiled table tops printed with art. The 12-year-old company has markets in the US, UK, Russia, and Middle East. Aside from tiles, Civic Tai also use rubberwood as material for its dining furniture. This coffee chair by Mau Sin Bentwood will certainly turn heads with its modern and unique design. 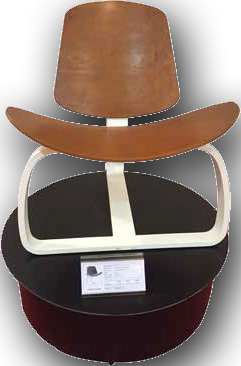 An oversize curved seat with rounded leg, the chair is made entirely of rubberwood veneer, with the leg painted in white. What this simple sofa may lack in aesthetic appearance, it makes up for in its dual-purpose feature. Made by veteran lounge furniture maker, LP Furniture World, this Designer Sofa can be seen in the lounges of big hotels in and outside of Malaysia. 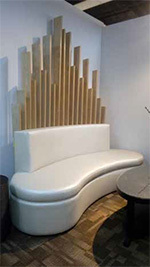 This awesome seat not just provides comfort but provides partition to your space as well, perfect for hotel lounges! PWTC and MECC, Kuala Lumpur!